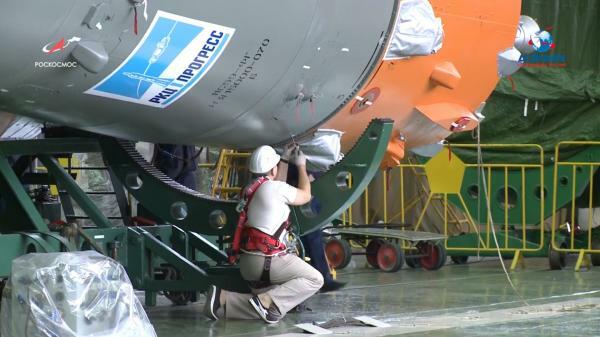 Soyuz-FG №Н15000-068 was delivered to the launch site with fairing №Я15000-091. 78031216 was the rocket-serial number from Kosmos 2528. And what? As stated above, Soyuz-2-1B #76031216 does not exist. 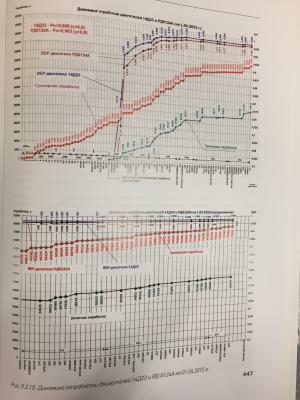 This wrong number was published in RSC Energia's plan of orders, because Energia wanted to take rocket for EgyptSat-A launch from Russian Ministry of Defence. When Energia got refusal then Roskosmos gave Soyuz-2-1B #Е15000-024, Fregat and 14С737 #112-07 taken from GLONASS program. And Energia should pay for producing of new vehicles. The rocket manufactured for Spektr-RG was to use 3rd stage engine 14Д23 №19Л. So is that rocket №Л15000-020 (32/135)? The rocket manufactured for Meteor-M №3 was to use 3rd stage engine 14Д23 №23Л. So is that rocket №Е15000-024 (28/135)? Engine №1221900338(6Л) was to be used on a Soyuz-2.1b rocket in 2011; whilst engine №1229200341(9Л) was to be used on the Soyuz-ST-B launched in 2012. Both engines were defective. The Soyuz-ST-B had its engine substituted with №1220400346. 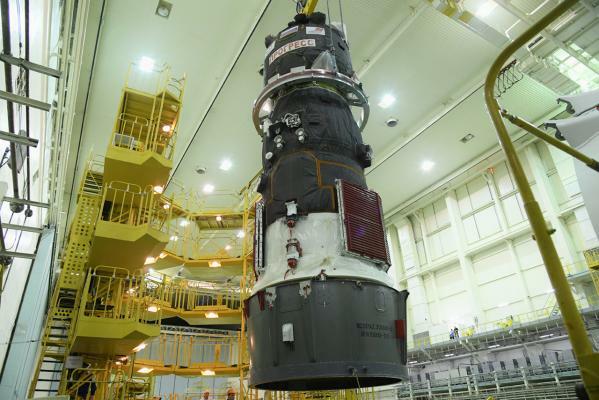 №1229200341 was repaired and fitted to the Soyuz-2.1b. - по договору от 25.01.2011 №6219 - акт выполненных работ на проведение работ по устранению дефекта сопла камеры, изготовление новой камеры и ДСЕ, необходимых для ее замены на двигателе 14Д23 №9Л зав. №1229200341, подготовка двигателя для проведения КТИ от 31.03.2011, технический акт №420-12-2011 по этапу договора от 25.01.2011 №6219. Двигатель был поставлен в ЦСКБ Прогресс 19.11.2011 взамен ранее изготовленного двигателя 14Д23 №6 Л зав. №1221900338 по договору от 25.08.2008 №5772 и отправленного в ЦСКБ Прогресс в ноябре 2008 года. Engines 6Л and 9Л could not be used for launches due to defects. But 9Л was repaired and used. It failed. Figure with serial numbers of 14Д23 engines and their tests. And what? As stated above, Soyuz-2-1B #76031216 does not exist. This wrong number was published in RSC Energia’s plan of orders, because Energia wanted to take rocket for EgyptSat-A launch from Russian Ministry of Defence. When Energia got refusal then Roskosmos gave Soyuz-2-1B #Е15000-024, Fregat and 14С737 #112-07 taken from GLONASS program. And Energia should pay for producing of new vehicles. Е15000-024 had been earmarked for Resurs-P №4. Rocket У15000-038 (1/137) has been taken from GLONASS, and is now assigned to Resurs-P №4. Glonass launch in May will be the 1900th launch of a rocket from the R7 family. The tests of RD-107 / RD-108 with Naftil (RG-1) are complete. The first series engines have already been delivered by Kuznetsov to RKZ Progress. In Samara Kuznetsov, PJSC (part of the United Engine Corporation of Rostec) successfully completed acceptance tests of the first production set of the RD-107A / RD-108A rocket engines using a new fuel - naphthyl. In accordance with the state strategy in the field of space exploration, the Roscosmos State Corporation has been tasked with the transition to environmentally friendly rocket fuel, naphthyl, unified for various types of launch vehicles. JSC "NPO Energomash them. V.P. Glushko ”and PJSC“ Kuznetsov ”performed a set of development and testing of engines using new fuel, as a result of which the efficiency and basic characteristics of RD-107A / RD-108A engines were confirmed. Pilot tests on naphthyl were completed in 2018. In February 2019, PJSC Kuznetsov conducted acceptance tests of the first production kit of the RD-107A / RD-108A engines on naphthyl. These products have been sent to the customer of Progress RCC Progress JSC for installation on the Soyuz-2 launch vehicle. RD-107 / RD-108 propulsion systems are equipped with stages I and II of all launch vehicles (LV) of the Soyuz family. These engines are mass-produced at PJSC Kuznetsov with design support from the developer of NPO Energomash im. V.P. Glushko. In 2018, the RD-107A / RD-108A rocket engines provided 14 successful launches of Soyuz family rocket launchers from the Baikonur, Vostochny, Plesetsk and Kuru cosmodromes (Guiana Space Center). These rockets launched into orbit spacecraft of Roscosmos, the Ministry of Defense of Russia, commercial satellites under contracts of Glavkosmos JSC and Glavkosmos Launch Services JSC. They delivered to the International Space Station 3 crews of long expeditions and 3 ships with cargoes necessary for the life support of the station. 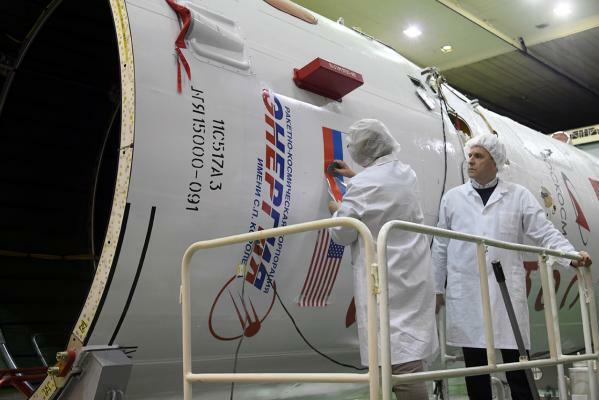 United Engine Corporation (UEC) Rostec State Corporation has successfully completed acceptance tests of the first production set of the RD-107A / RD-108A rocket engines on a new fuel - naphtha instead of the previously used kerosene. The first products have already been sent to the customer. The company "Kuznetsov" (part of the JDC) and the NPO "Energomash them. V.P. 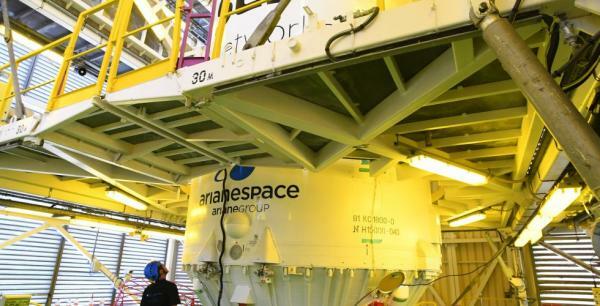 Glushko completed the experimental and acceptance tests of the engines of the first and second stages of Soyuz carrier rockets operating on new fuel - naphthyl. This is an environmentally safe type of hydrocarbon fuel with the use of polymeric additives. During the tests, the efficiency and basic characteristics of the engines were confirmed. The RD-107 / RD-108 engines, adapted for the new fuel, have already been sent to the customer - Progress RCC - for installation on the Soyuz-2 launch vehicle. “The transition to a new type of fuel is part of the modernization program of the Soyuz-2 rocket. Launches using naphthyl as fuel for the first and second stages of the Soyuz were not previously conducted. Technological innovations will reduce the load on the environment and significantly increase the payload put into orbit, ”said Rostekh's executive director Oleg Evtushenko. RD-107 / RD-108 propulsion systems are equipped with stages I and II of all launch vehicles (LV) of the Soyuz family. The engines are mass-produced at the Kuznetsov enterprise with the development support of the developer, NPO Energomash named after V.P. Glushko. Replacing kerosene with naphthyl is part of the Soyuz-2 missile modernization program for launches from the Vostochny space center. Starts using this type of fuel in the first and second stages of the "Union" have not been conducted before. In 2018, the RD-107A / RD-108A rocket engines provided 14 successful launches of Soyuz family rocket launchers from the Baikonur, Vostochny, Plesetsk and Kuru cosmodromes (Guiana Space Center). These rockets placed spacecraft of Roskosmos, the Russian Ministry of Defense, commercial satellites into orbit, delivered to the International Space Station three crews of long expeditions and three ships with cargoes necessary for the life support of the station. Naftil (RG-1) is already used in RD-0124. Only the old engines use T-1 (RD-107A, RD-108A, RD-0110, NK-33). I add that 13Л was 345, as per photo.